The finest A/V design and installation - your home deserves nothing less. 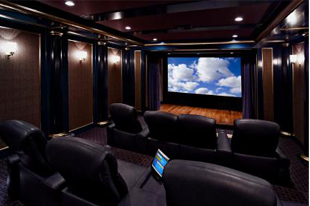 Whether you are looking to install a home theater system or an HDTV, we got you covered. You will enjoy our reliable, easy-to-use home automation system with custom installation. Upgrade your home entertainment system today! Make every room in your home an entertainment experience with premier Sound & Video. Enjoy your favorite movie, song or sports game, the way you should!